We suggest booking six-monthly check-ups so Dr Poulos can regularly assess your child’s oral health. Everyone here is extremely gentle when treating children and we will take particular care if your child is at all nervous or anxious. What are the Advantages of Regular Check-Ups? 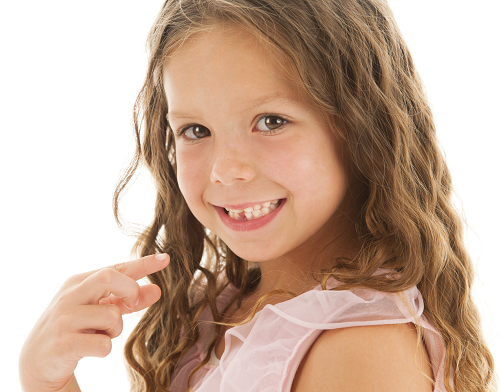 These regular check-ups allow us to closely monitor the development of their teeth and jaws, and we can detect any small problems that might be developing at a stage when treatment will be less invasive and more comfortable for your child. Dr Poulos will need to take dental x-rays at regular intervals, as these provide valuable information about areas of the mouth hidden from the naked eye. Oral hygiene education is another important part of these regular check-ups. How Can Oral Hygiene Education Help My Child? By educating you and your child when they are older, we hope to prevent dental problems from developing. Everybody here is passionate about preventative dental care and our dental therapist will show you and your child the correct way to brush and floss your child’s teeth. We can also talk to you about the impact of their diet on their dental health. Our aim is to provide you with all the information required so that your child can enjoy all the benefits of having healthy teeth and gums well into adulthood and we hope for life.